Irene Evelyn Belt, the daughter of John Sidney Belt and Bessie Leigh Belt, was born on December 23, 1922 and died January 8, 2018. Irene was raised in Cortez, Colorado where she attended High School as a student, cheer leader, band member and star basketball player. The strong family ties and good friendships growing up in Cortez lasted throughout her life time. As a Navy Family, after the war, Irene and Van were stationed at several naval bases from New England to Florida, before being stationed at the Norfolk Naval Base till Van retired in 1959 and moved his family to Temple, Az. All of the Summers children attended Tempe Union High School and Arizona State University. While raising their children in Arizona, Van taught at Westwood High School in Mesa, while Irene became a supervising nurse at Tempe Community Hospital. When her husband of thirty years passed away in 1974, Irene retired from a thirty-two year nursing career. 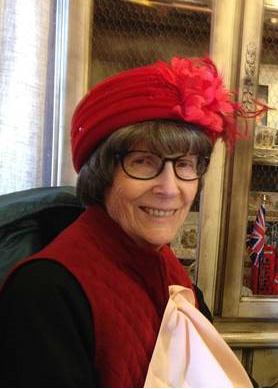 Continuing to live in Tempe and Mesa, Irene lived a busy life as a volunteer in her church, assisting teachers in various community elementary schools and as an active participant in local and state politics. She is survived by her five children: Vannie C. Summers III, Pat Walkington, Tom (and Janine) Summers, George (and Tabitha) Summers and Rachel Summers. At the time of her death, Irene had eleven grandchildren and ten great grandchildren. Irene Evelyn Belt is also survived by two sisters and three brothers: Betty Barr, Eddie (and Karen) Belt, Bob (and Faye) Belt, Karolee (and Hank) Goodman and the Reverend Tom (and Lucy) Belt. Services for Irene will be held at Bunker Family Funeral Home on 33 N Centennial Way, Mesa. They will begin at 11:00 am Monday, January 15 in the facilities chapel. She will later be laid to rest in the Mesa City Cemetery. To my cousins Vannie, Patty, Tom, George, and Rachel, I send my love and prayers to all of you. Your mother was always so kind to all of the cousins and so hospitable. She had a gentle and loving spirit. My heart goes out to all of you as you grieve her loss. To Uncle Bob and Aunt Faye, Uncle Ed and Karen, Aunt Karalee and Hank, Betty, and certainly my dear parents, Tom and Lucy, I offer prayers for consolation as you gather to honor and remember Aunt Irene. May you know the comfort of one another’s support and that which comes from the “God of all Comfort.” I love you all.